Welcome and thanks for noticing me! Hi and welcome to my Eeyore homepage! I hope you enjoy your stay. 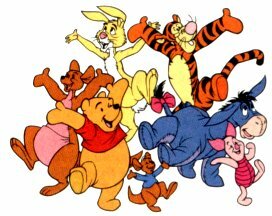 I have info on Eeyore, links, and even a Yahoo Club all about Eeyore--please feel free to join-it's lots of fun! Go back to my personal homepage!